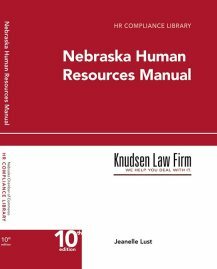 Wednesday October 3, 2007, the Nebraska Court of Appeals published two decisions that seemed to value form over substance. In the first, the Court refused to allow the substitution of the party that was the actual tenant of farm ground (a corporation owned and operated in part by the gentlemen sued) in a condemnation case. In the other, the Court refused to enforce a guarantee that listed the wrong party as an owner (even though that party had assigned the guarantee to the correct party). The lesson: Legal niceties do matter. Forms should be double and triple checked to make sure no “old” parties are still listed. Corporations are actually legal persons with a separate existence from the persons operating them. In other words, before signing something, or assuming some legal technicality doesn’t matter, check with your lawyer. Not doing so cost the tenant in the condemnation case over $10,000 and the owners in the guarantee case nearly $100,000.